Max- 45 Years as on date of receipt of Application. 1 - 2 years of Experience in chargebacks, reconciliation and transaction processing. 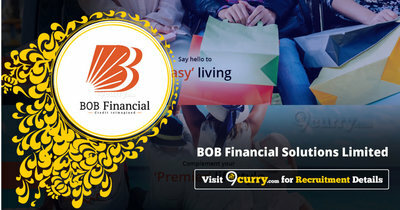 Eligible candidates may email to careers@bobfinancial.com with the subject as “Sr. Officer/Officer – Chargeback Operations” on or before 24 Apr 2019.